Welcome to Japan's capital city. Hotel rooms are available for mid-afternoon check-in. Today's sightseeing tour takes you to the MEIJI SHRINE, a magnificent 20th century Shinto monument set in a man-made forest. 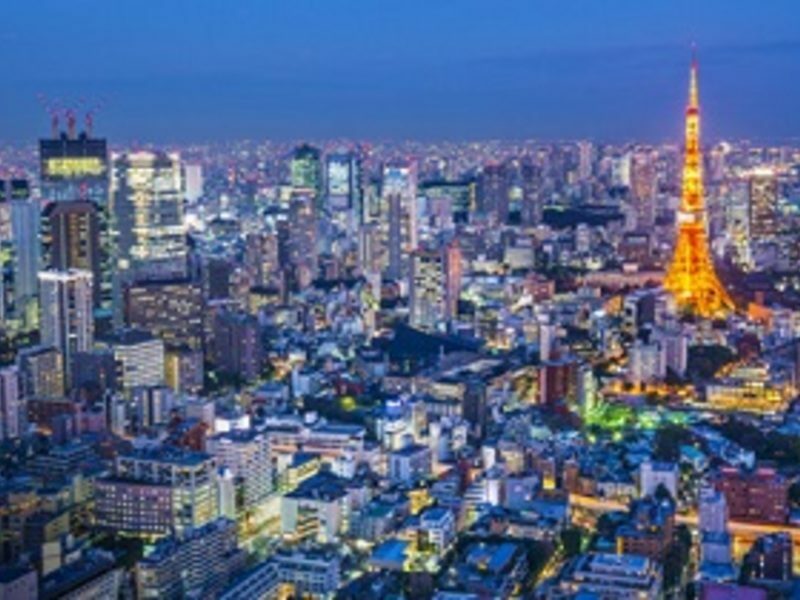 Afterward, pass by the Imperial Palace Plaza, the State Guest House, the Akihabara district, and the famous Ginza shopping street. Your tour concludes with a visit to the ASAKUSA KANNON TEMPLE and the NAKAMISE SHOPPING ARCADE. Enjoy a free afternoon and evening in this cosmopolitan city. Enjoy your day at your leisure. Perhaps join a full day optional excursion to Mount Fuji. Journey north to Nikko for a visit to TOSHOGU SHRINE and its famous YOMEIMON GATE, a UNESCO World Heritage Site. Next, continue on to the scenic Iroha-zaka Driveway, which reaches elevations of 3,940 feet(1200 metres), to visit LAKE CHUZENJI and the KEGON WATERFALL. Continue to Utsunomiya, home of Japan's famous gyoza dumplings. Continue through Japan's beautiful mountain scenery to one of the country's most remote regions, SHIRAKAWA. Protected as a UNESCO World Heritage Site, the unique Gassho-Zukuri (joined hands) thatched houses can only be found here. This afternoon, journey through the Japanese Alps to the secluded town of Takayama, where old traditions are untouched by the passage of time. Enjoy a tour of Kyoto, visiting many of the city's temples, shrines, palaces, and pagodas. A highlight of the day is a visit to the extraordinary NIJO CASTLE, built in 1603 as the official residence of the Shogun Tokugawa Ieyasu. You will also visit the TEMPLE OF THE GOLD PAVILION and the HEIAN SHRINE AND GARDEN. During the day, there will also be a chance to participate in a traditional JAPANESE TEA CEREMONY. 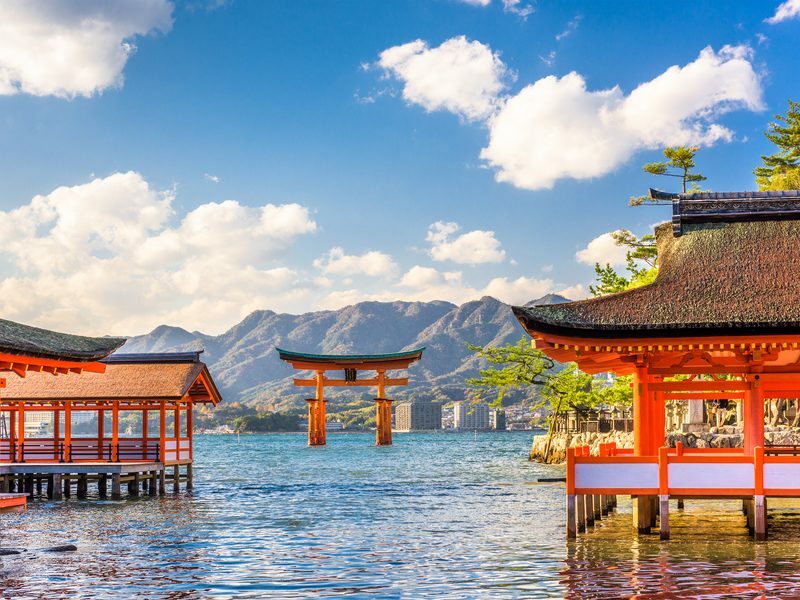 En route to Hiroshima, visit the UNESCO World Heritage Site of ITSUKUSHIMA SHRINE and its famous FLOATING TORII GATE. From here, continue to Hiroshima. This city bears significant historic importance, for it was here that the world's first atomic bomb was dropped in 1945. Your tour features the PEACE MEMORIAL PARK to see the PEACE MEMORIAL. Commonly referred to as the Atomic Bomb Dome, this UNESCO World Heritage Site has been preserved just as it was on August 6, 1945, immediately after the bombing. Also, visit the SHUKKEI-EN GARDEN, which dates back to 1620. 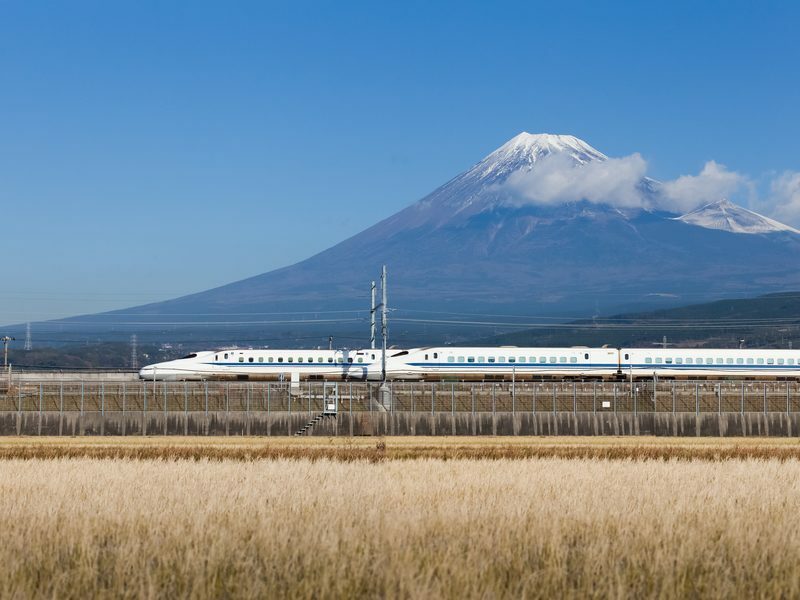 Your fascinating journey to Osaka, aboard one of Japan's famous BULLET TRAINS, is sure to be a highlight of your tour. 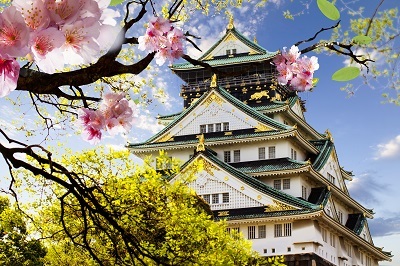 The rest of the day is yours to explore Japan's second largest city. Package is based on 1 April 2019 departure. Prices listed are per person in Australian Dollars, based on twin occupancy, including all discounts unless otherwise stated. The offer is subject to availability at time of booking. Fares are capacity controlled and are subject to change at any time without notice. Prices/Offers are correct as at 24 August 2018 and can be withdrawn without notice. Visas are not included. Airfares are based on economy class flights from Sydney and subject to the carriers’ flight schedules and conditions, please call us for prices from other cities. Payments made by credit card will incur a surcharge.